Late-night TV was definitely missing a voice this election season. After Comedy Central ended The Nightly Show With Larry Wilmore, many people questioned the timing, especially since Wilmore was able to perfectly mix comedy and politics while including a panel of guests and correspondents who carried their own weight. 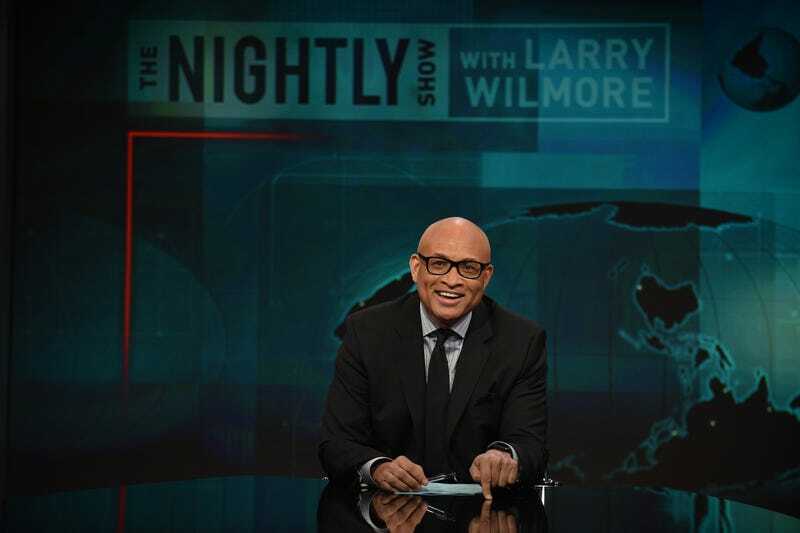 But now fans of Wilmore will be happy to learn that he's returning to television. Wilmore has signed a development deal with ABC Studios, where he'll be able to develop his own projects. Wilmore is currently the executive producer of ABC's Black-ish, and he also co-created and executive-produces HBO's Insecure, which was recently renewed for a second season. "I'm excited beyond words to be back at ABC and look forward to this creative partnership. Disney [ABC's parent] took a chance on me as a young writer years ago, and so I'm thrilled to return to the Mouse House. I hope my room still looks the same," Wilmore said Monday. In addition to developing his own projects, Wilmore will help bring more talent to ABC.